1 x BeanBob Stuffed Animal Storage Bag in Flaming Red. 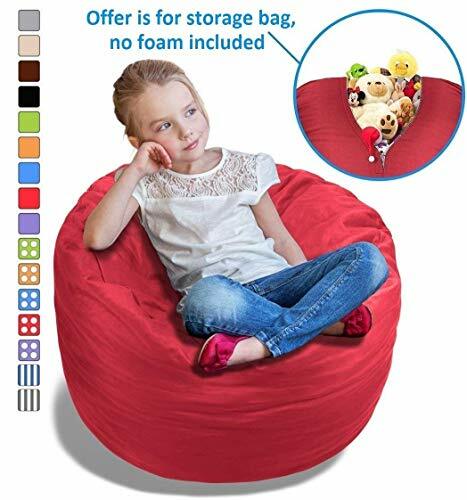 Make tidying up fun and easy with this excellent solution for storing away all those soft toys, blankets, and clothes while also doubling up as a fun and stylish bean bag. EASY STORAGE: 1 x BeanBob Stuffed Animal Storage Bag in Flaming Red. Make tidying up fun and easy with this excellent solution for storing away all those soft toys, blankets, and clothes while also doubling up as a fun and stylish bean bag. ONLY COVER INCLUDED, NO BEAN BAG FILLING.